Investors may want to hit home runs when stocks rally, but the market’s tendency to throw curve balls is a reminder to play defence, too. After last month’s sharp market selloff, it’s worth flagging some defensive names. These stocks, which are less vulnerable in choppy markets or tough economic times, can be found in the health-care, utilities and consumer-staples sectors. Being labelled defensive stocks doesn’t mean their value won’t decline, but they could outperform the broader market during volatile conditions. They typically have stable earnings and pay a dividend, allowing investors to be paid while waiting for a rebound. We asked three portfolio managers for their top defensive stock picks. Waste Connections, North America’s third-largest waste services company, is an attractive defensive play because garbage always needs to be collected regardless of the general economy, says Mr. Ummat. “The company also has great earnings visibility because it is a contract-based business.” The Vaughan, Ont.-based company was created in 2016 after U.S.-based Waste Connections bought Canada’s Progressive Waste Solutions Ltd. in a reverse takeover. Waste Connections is a free-cash-flow machine with the ability to internally finance tuck-in acquisitions, he adds. Its dividend-paying shares trade at a premium to those of peers such as U.S.-based Waste Management Inc. and Republic Services Inc. That’s because of Waste Connections’s strong management team, which has succeeded in carrying out its strategies, he says. Execution is key, so any misstep is a risk, he adds. Wayne Gretzky Estates wines are one of Andrew Peller's premium brands. This wine and spirits producer’s stock is a defensive play because people will consume alcohol in good and bad times, says Mr. Ummat. Andrew Peller, based in Grimbsy, Ont., has premium labels such as Peller Estates and Wayne Gretzky Estates as well as price-conscious brands. 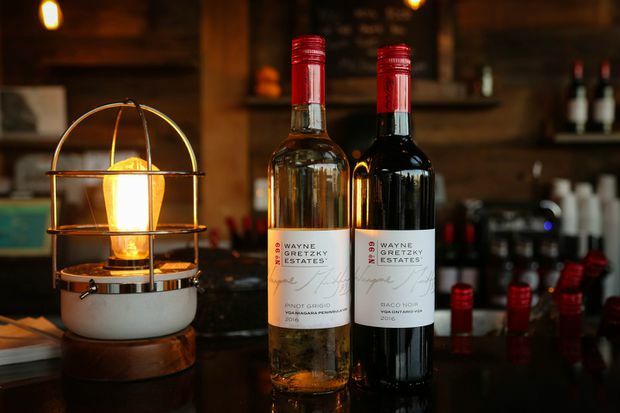 Andrew Peller, which owns the Wine Shop retailer, is also benefiting from the growing popularity of wine among millennials and growth from acquisitions that includes the 2017 purchase of three British Columbia wineries, he adds. The company could also be a contender for some of the US$3-billion in wine assets which U.S.-based Constellation Brands Inc. may sell, he says. Because Andrew Peller’s dual-class stock is “fairly illiquid” and its share price can be under pressure from profit-taking, that also creates a better buying opportunity for investors, he notes. The company has paid a dividend every year since 1979. 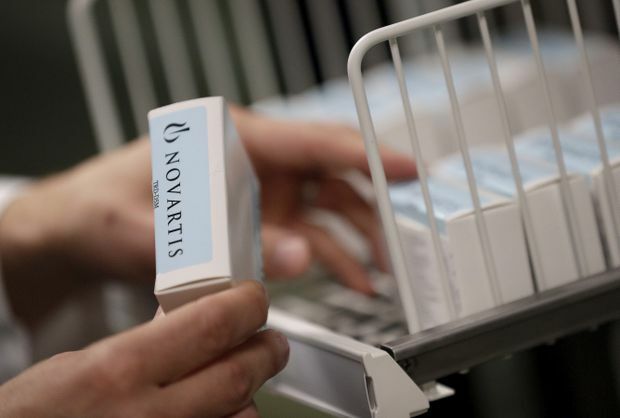 Novartis expects growth in developing countries including India and China. This Swiss pharmaceutical manufacturer’s shares are a compelling way to play defence because the demand for drugs is not affected by economic conditions, says Mr. Steinberg. Novartis, which also owns the generic drug maker Sandoz, has a diversified portfolio of medicines focused on cardiology, immunology and oncology, he adds. “We look for earnings growth in the next few years in the 7- to 10-per-cent range. … It is a conservative, well-run company trading at a reasonable valuation and generating pretty decent dividend growth.” Novartis has been successful in building its drug pipeline organically as opposed to making costly acquisitions, and it expects growth in developing countries including India and China, he says. While a risk is its underperforming Alcon eye-care business, Novartis plans to spin it off and that already is priced into the shares, he notes. This Dutch company, which spun off its lighting business in 2016, has since focused more on health-care technology, says Mr. Steinberg. While Koninklijke Philips Electronics still has a consumer electronics division, whose products include electric shavers and toothbrushes, it has also become a major player in selling medical diagnostic and treatment equipment as well as patient monitoring systems, he notes. Its customers are now hospitals and health-care providers, so “it’s a very stable business and very non-economically sensitive,” he says. Earnings are expected to grow at about 10 per cent a year over the next few years, and “we are looking for ongoing dividend and revenue growth,” he adds. “Its stock trades at reasonable valuation at roughly 17 times next year’s earnings.” The risk to this stock lies in management’s ability to execute its strategy, he adds. A NextEra wind energy installation in Nova Scotia. The U.S.-based utility’s stock is defensive because consumers need electricity in both a growing and recessionary economy, says Mr. Trottier. NextEra, which was known as FPL Group. Inc. when it focused on the Florida market, now does business in 33 U.S. states and in Canada. NextEra, a leader in wind and solar energy, also benefits from the growing desire by technology companies, such as Facebook Inc. and Alphabet Inc.’s Google, for green electricity, he adds. NextEra’s dividend yield, which is close to 2.5 per cent, is lower than the 4 per cent offered by some other utility stocks, he notes, but the company’s dividend is expected to grow by about 12 per cent annually over the next couple of years. While rising interest rates can be a risk to utility stocks, companies with higher dividend yields would be more vulnerable, he suggests. Kraft Heinz has made efforts to boost sales as consumers have embraced healthier eating. Shares of the global food giant declined last year despite its traditionally defensive nature, but the potential return is worth the risk, suggests Mr. Trottier. U.S.-based Kraft has been hit by competition from private-label products offered by Amazon.com Inc., while consumer tastes have also shifted toward healthier foods, he notes. Kraft Heinz, which was created in a 2015 merger, slashed costs to improve profit margins, but it failed to innovate and generate sales growth, he says. But Kraft, which last year earmarked US$300-million for new investments, has acquired firms such as Vancouver-based Ethical Bean Coffee and U.S. paleo-diet-friendly condiment company Primal Nutrition LLC to tap into new trends. The risk is failing to turn the ship around, but investors get close to a 5.5-per-cent dividend yield while they wait, he adds.